Budapest is without a doubt my favourite European city so far. From the moment we arrived, driving around the city and exploring Buda Castle blew my mind. We first explored the castle complex on the Buda side of the city. 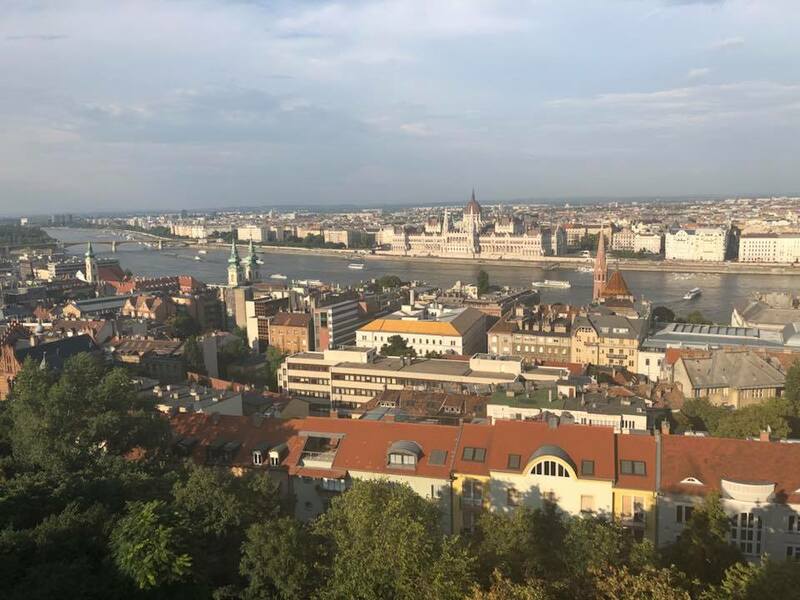 The history is amazing, and Fisherman’s Bastian which was once used as a place for merchants to sell their goods provides an amazing view over the river and Pest. Buda Castle itself is incredible. The World Heritage site feels so grand and I wanted to photograph every inch of the castle district. The castle has such beautiful views over the historic city and impressive parliament house. That night we took a river cruise along the Danube River, enjoying a three course dinner and then having time to sit on the deck in the warm summer air, watching the lit up buildings pass by. Seeing Budapest from the river provided another amazing perspective. The next day we explored the impressive Parliament House which sits right on the Danube, and St Stephen’s Basilica. We finished our final day in Budapest at the famous Széchenyi Thermal Spas, the largest thermal bath complex in Europe. The water is sourced from natural thermal springs, and there are three spas with different temperatures so there is a temperature to suit everyone. It’s an amazing way to relax in Budapest, and mix with some of the locals who frequent the spas too.